You May Have a Claim! Do You Own a Business, Lead a Church or Nonprofit, or Live Anywhere in Louisiana, Mississippi, Alabama, or Florida? On April 20, 2010, there was an explosion on BP's Deepwater Horizon offshore drilling platform, resulting in the largest oil spill in history. 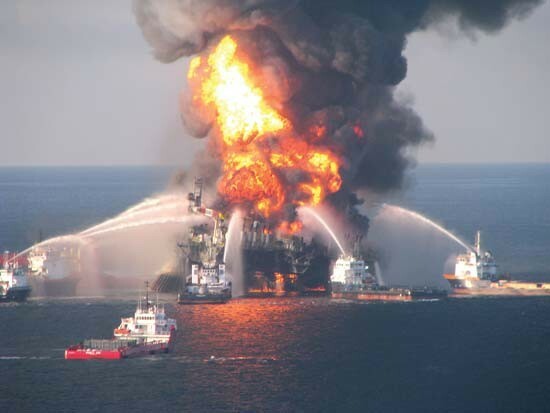 Countless businesses, nonprofits, and individuals throughout the Gulf Region were dramatically impacted by the massive economic loss caused by the spill. The Plaintiff's Steering Committee (PSC) and BP have determined that many businesses, churches and other nonprofits, and private individuals may qualify to make claim for a financial settlement. If you and/or your organization experienced financial loss due to the economic domino-effect caused by the spill, you could be among them. The settlement area includes all parishes and counties in Louisiana, Mississippi, Alabama, and the Gulf Coast counties of Florida. With no up-front fees or out-of-pocket expense to you, we will determine if you qualify to make a claim. We use a proprietary, turn-key system that makes the process much simpler and quicker than conventional methods. Who are we? Many organizations and individuals are unaware that they qualify for part of the $7.8 billion cash settlement approved for those harmed by the Deepwater Horizon disaster. The documentation and claims process is complex and time consuming, and requires unique knowledge and experience. Since 1999 we have helped more than 180,000 individuals and organizations collect over $240 million in settlements. As an INC 5000 company for two consecutive years, our expertise with the claims process, our knowledge of the court's unique requirements, and our proprietary software consistently benefit our customers with reasonable settlements. You have better things to do than worry over every detail of an Economic Loss Claim. As your agent, we will oversee each aspect of the claims process on your behalf. We make the overall experience worry-free and risk-free for you by doing the work of obtaining documents, compiling data, analyzing financial statements, and submitting the completed claim forms. Contact one of our Claims Managers today to see if you qualify to make a claim.